They have a fabulous sketch to follow. Dawn loveee the papers! You did an awesome job on this card! 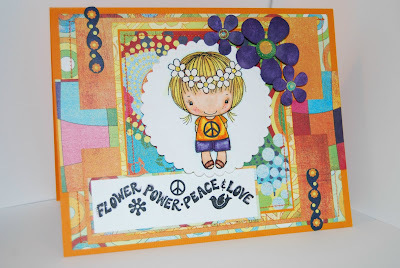 Dawn, love your groovy card. That Lime Ricky is just perfect for this hippy chick! Great take on that sketch. Danw, How perfect is that! Love the Lime Rickey with your flower child! HeeHee. Great job! So beautiful...such a talented girlie you are...always a pleasure to stop by and see what you have been up to! Great article as for me. It would be great to read a bit more about that matter. Thanks for giving this material.